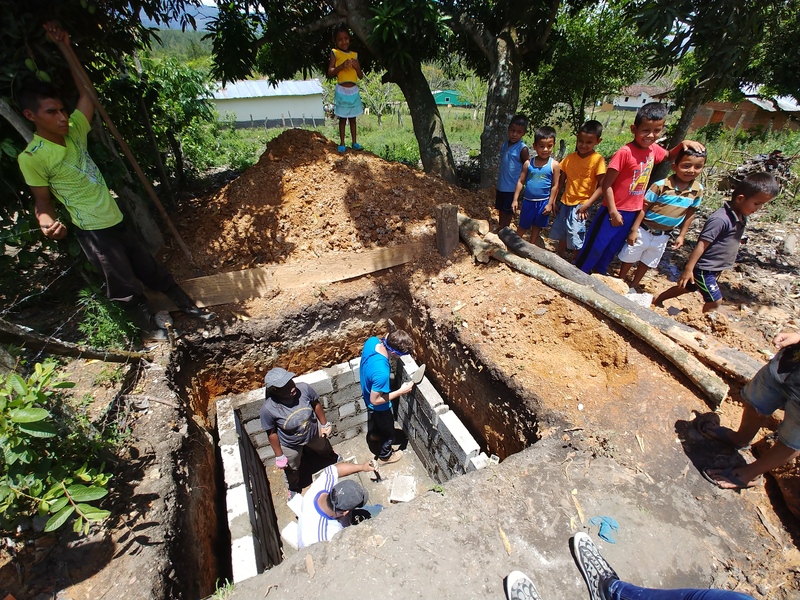 Children in the village of Linares, Honduras, watch ACU engineering and physics students construct latrines they designed as a class project. Garrett Rhoden learned something he wasn’t expecting to learn in an engineering class: He has a heart for missions. The realization came after a trip to Honduras in May that was part of an engineering class taught by Dr. Timothy Kennedy, P.E. Garrett, a senior engineering major, spent part of the summer helping install latrines and building a pressurized system that delivered water from a river to a dairy farm. It was Garrett’s first mission trip while at ACU, and he came away from with a new vision. That’s exactly the kind of response Dodd Roberts, director of ACU’s Halbert Center for Missions and Global Service, is hoping to hear from students in every field of study offered at ACU. 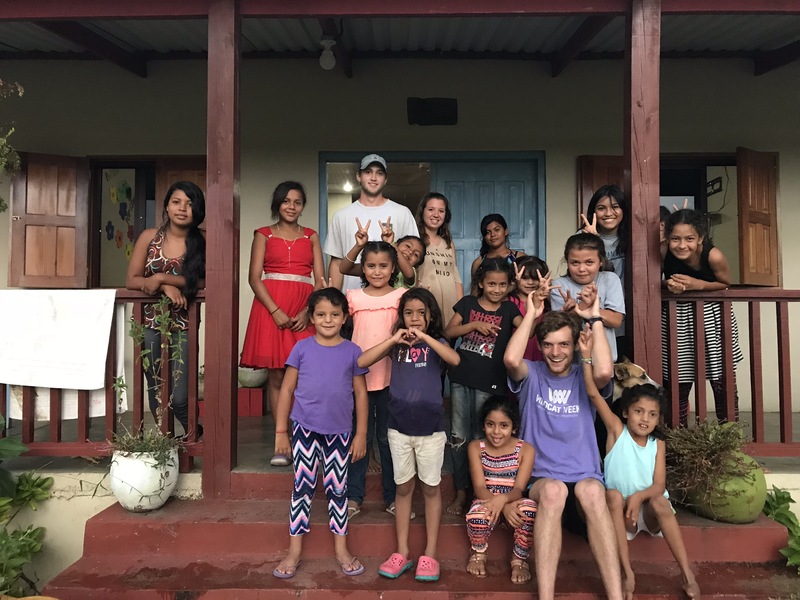 A focus of the Halbert Center is to integrate academics and missions, just like the Department of Engineering and Physics mission trip to Honduras that included Garrett. Kennedy, the professor overseeing the engineering project and mission trip to Honduras, is starting his fifth year at ACU. After earning two degrees in civil engineering from Texas Tech University, Kennedy worked for two years with the Fort Worth engineering firm Alan Plummer Associates. Although he enjoyed the engineering challenges, something was missing. 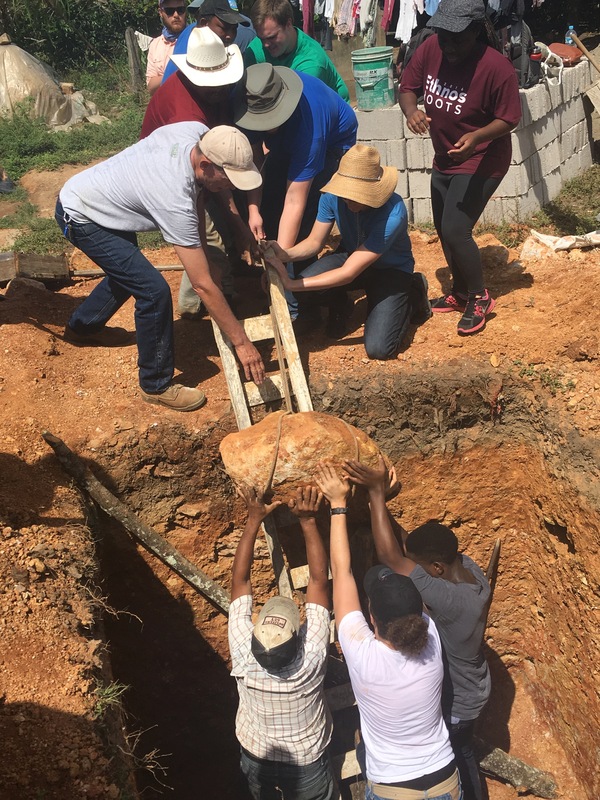 ACU engineering and physics students work with a family in Linares to "engineer" a solution to get a large rock out of the latrine pit before beginning construction. He had a desire to mold and shape people. He found a way to blend his love of engineering and desire to shape people when he joined the ACU Department of Engineering and Physics as an assistant professor. Each spring, Kennedy offers a project-based class with students divided into teams to solve real-world engineering problems. Originally, those problems were built around needs in a fictional missions setting. But that changed in the summer of 2017 when Kennedy and representatives of the Halbert Center visited Esperanza Viva or Living Hope mission in Gualaco, Honduras. During that trip, Kennedy identified actual needs for his project-based course. In May 2018, Kennedy accompanied 14 students to the tiny village of Linares, located 10 minutes outside of Gualaco, to help solve one of those needs. Before the trip, only three families in the village used latrines, and two of those collapsed due to sandy soil. The ACU engineering students developed a design for latrines that would be appropriate for the setting and soil conditions. Each latrine was 7 feet deep and measured 7 feet on each side. The latrines would be lined with concrete blocks to avoid a pit collapse and connected to a toilet with a PVC pipe. Before the group left for the eight-day trip to Honduras, they had to raise $1,550 each for airline tickets, food, lodging and supplies for the projects. They did so with help from the Halbert Center, which also provides cultural, language and servant leadership training for students before heading out on a mission trip to a new land. Garrett was on a team in Kennedy’s class that designed a system to transport water from a river to a dairy barn at Living Hope. The milk is for the girls housed at the mission orphanage and to sell for revenue. A steady supply of water is essential for the cattle and to clean the barns. Even though Garrett wasn’t on the latrine design team, he and three other students who happened to be at Living Hope through ACU’s World Wide Witness program assisted with the latrine project. Other engineering and physics students on the trip were Allen Price, David Carrizal, Garrick Martin, Jamie Wright, Jess Price, Josh Murphy, Kelsey Shelton, Monica Sarmiento. Olive Tuyishimire, Sam Mulder, Trent Cavicchi, Yves Ngenzi and Marshall Beard. ACU students pose with children at the Esperanza Viva children's home. On the back row are Garrett Rhoden in the white shirt and Kayla Wright in the tan shirt. Marshall Beard is on the front row wearing a purple shirt. After Kennedy and the students who designed and built the latrines left, Garrett and Beard stayed for six weeks at Living Hope. Before he left, the water system was finished, with 1,900 feet of PVC pipe being laid underground from the river to the barn. An elevated platform was designed and built for a 660-gallon water tank. A pump already in use at the river for farmland irrigation doubled as a pump to send water through the pipeline. It was a happy day all the way around when the project was finished. “I was very proud,” Garrett said. The trip taught Garrett and the other students more than just how to design and install latrines or a water system, as important as those are. They discovered that they loved being part of the Living Hope and Gualaco family. The ACU group were strangers, but they weren’t treated that way. They played soccer and practiced their Spanish with the locals. They went on hikes and took part in the Sunday worship service. The students are getting a solid foundation in engineering and physics at ACU, but they also are learning something even more important. Kennedy said he wanted to be a part of molding and shaping people when he joined the ACU faculty. He accomplished that by helping his engineering class learn something valuable about their ability to impact others for Christ.